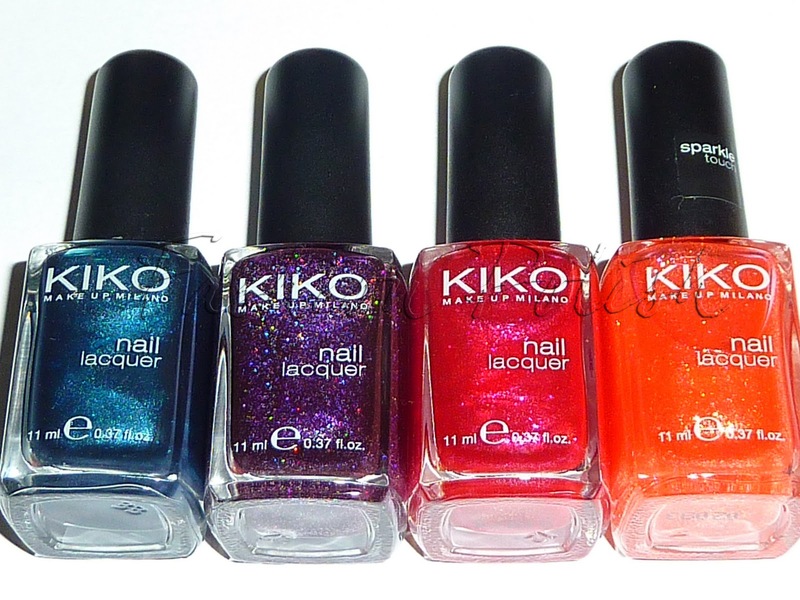 Since I'm still enjoying my blue mani, I thought I'd share with you my Gosh and Kiko stash. Gosh Cosmetics is a very popular Danish Big 3 free company. 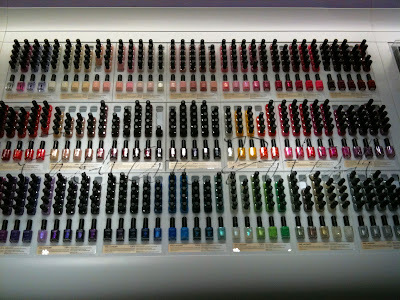 Their nail polishes are also free of camphor and phtalic acid. 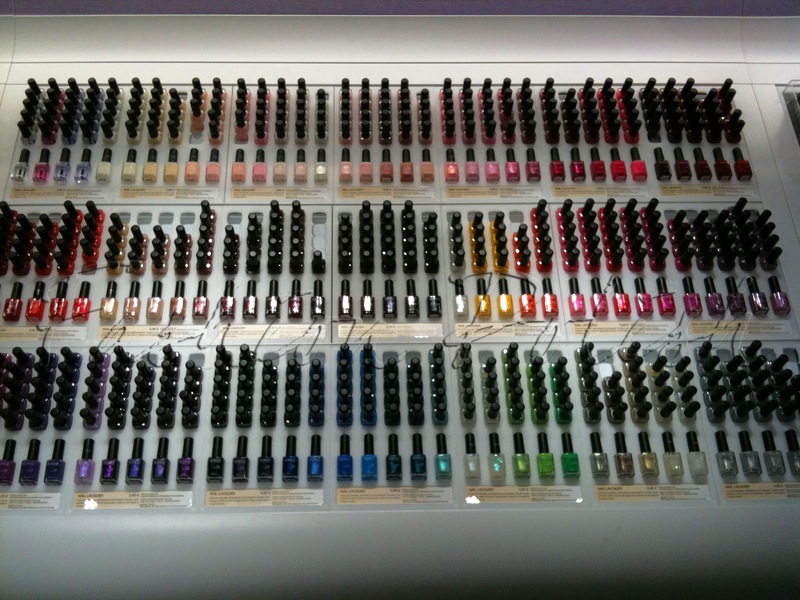 They have a very strong position against animal testing. Unfortunately their products aren't always so easy to find; they do offer online shopping, but some shades are EU exclusive, I think. 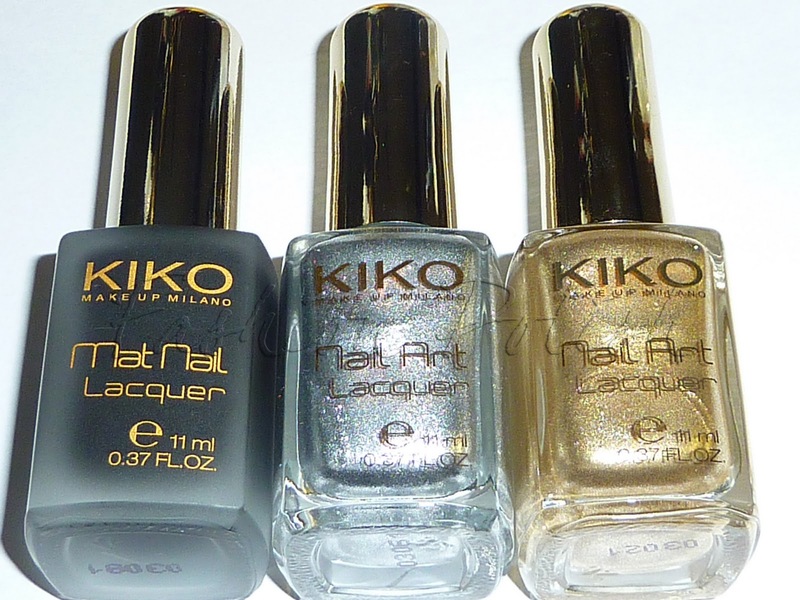 Kiko Cosmetics is an italian company that is also Big 3 free as well as Camphor and Styrene Acrylate free. Again they totally proscribe animal testing. They don't retail through the regular network but have their own shops and have been opening more and more in western Europe lately. 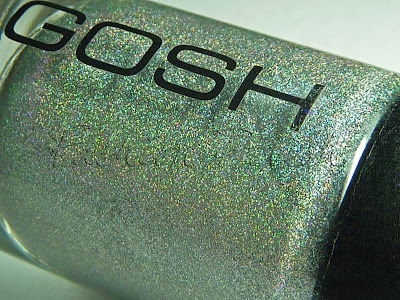 I do heart all of these nail polishes since they've been a long time job to collect (I'm still missing a few I like though), especially for the very very hard to Find Gosh Holographic and Rainbow; I have to thank my friend Nell for seeking these throughout London for me. 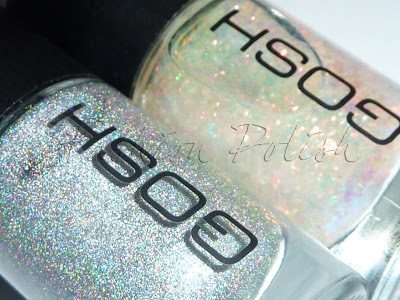 So on to the pictures, you can leave me comments with the ones you'd like me to swatch first. Hopefully I'll be filling you in with application, opacity etc later. The picture's high res so you can really enlarge it to see all the details. oh la chance que tu as de posséder des GOSH (surtout le holo et le rainbow) ! 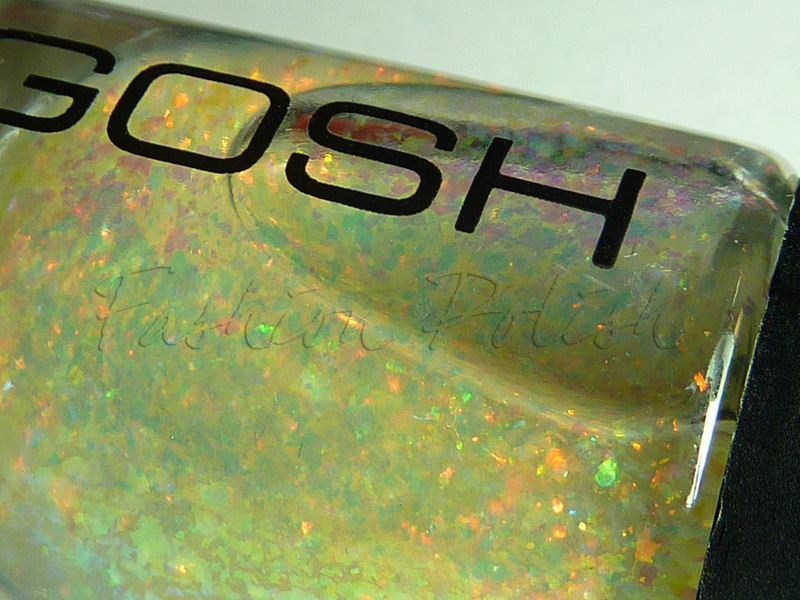 @Ulmiel You didn't miss it ;) It's one of the best of all these : a purple / dark green duochrome. I'll make sure to swatch is asap, as well as Purple Microglitter for Ivana. 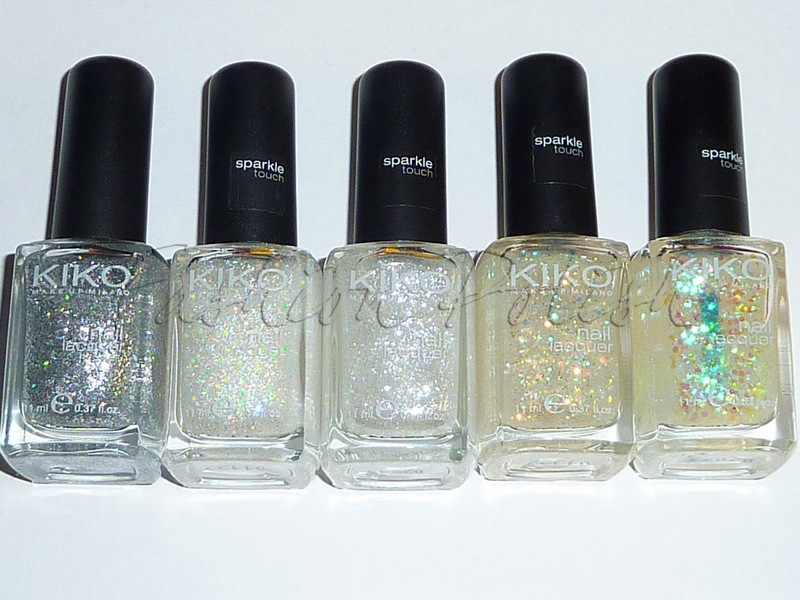 Ooooh I just love kiko! Tu as trouvé où les vernis kiko? 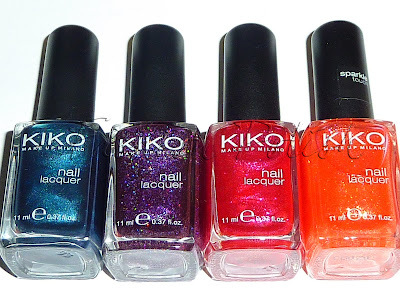 I'm a huge fan of red nail polish so I would be thrilled if you could show us Lambada from Gosh and Kiko's Microglitter Cranberry.